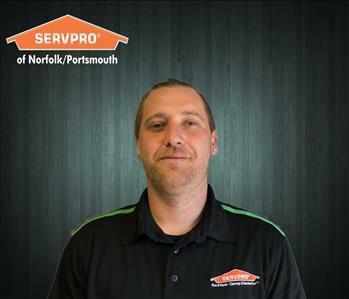 Nick Daniels is the Operation Manager at SERVPRO of Portsmouth. He has several years of experience in the cleaning and restoration industry. 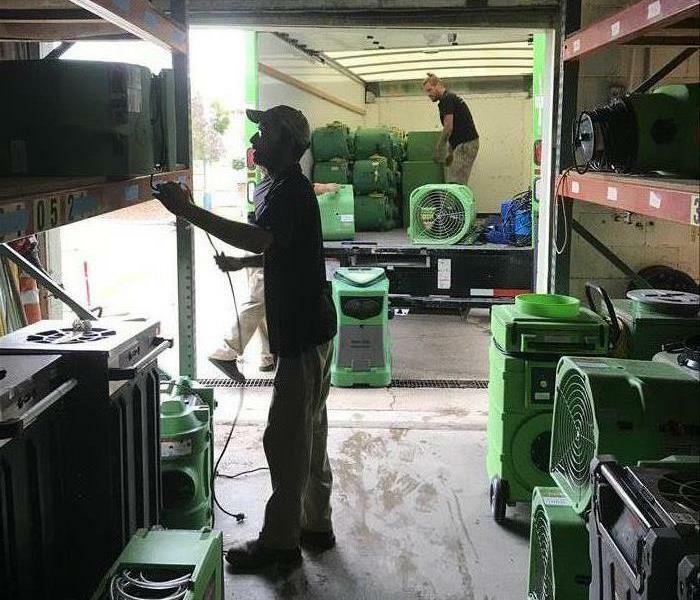 He has the following certifications from the Institute of Inspection Cleaning and Restoration Certification (IICRC): Applied Structural Drying, Water Damage Restoration Technician, Bio Hazard, Applied Microbial Remediation Technician, and Carpet Cleaning. 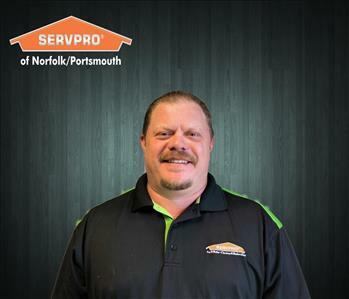 Dave Sellers is a Project Manager at SERVPRO of Portsmouth. He has several years of experience in the cleaning and restoration industry. He has the following certifications from the Institute of Inspection Cleaning and Restoration Certification (IICRC): Lead Technician Certification, Applied Structural Drying (ASD), Water Damage Restoration Technician (WRT), Bio Hazard, Applied Microbial Remediation Technician (AMRT), and Carpet Cleaning (CCT). Dave also is Fire and Restoration Technician (FSRT), Odor Control Technichian (OCT). Jeremy is our Director of Business Development and has been with us since Feb 2017. He has completed our rigorous SERVPRO Employee Certification Training Program. This program teaches advanced cleaning and restoration techniques and how to properly use our state-of-the-art equipment. He also has the following certifications from the Institute of Inspection Cleaning and Restoration Certification (IICRC): Water Damage Restoration Technician. Jeremy in his free time loves spending time with his wife Melissa and four kiddos. Collin, Caleb, Elinor, and Emma. They love to travel, play games and do pretty much anything outdoors. 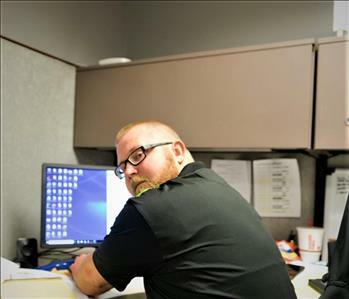 Jeremy looks forward to helping you prepare and plan for your emergency if something was to ever happen. Molly joined us in January 2016. She grew up in Arlington, Virginia and received a Bachelors degree in print journalism from Radford University. 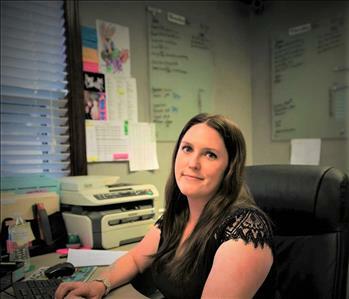 She has been a Sales & Marketing rep for SERVPRO of Portsmouth for three years. Molly has the following certifications from the Institute of Inspection Cleaning and Restoration Certification (IICRC): Water Damage Restoration Technician. In her spare time she likes to go to the beach, concerts and hang out with friends. 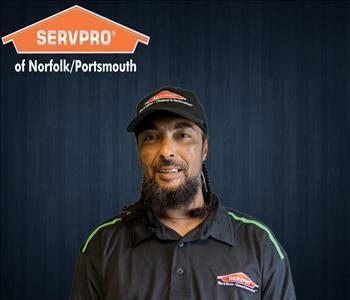 Ervin is a Sales & Marketing Rep for SERVPRO of Portmsouth. He started in June 2018. He also has the following certifications from the Institute of Inspection Cleaning and Restoration Certification (IICRC): Water Damage Restoration Technician. In his spare time he enjoys working out and exploring different areas of Virginia with his camera. Anita joined SERVPRO of Portsmouth as an Assistant Project Manager in March of 2018. Anita was born and raised in Virginia. She also has the following certifications from the Institute of Inspection Cleaning and Restoration Certification (IICRC): Water Damage Restoration Technician. In her spare time, she likes to take her kids Ava & Anthony to the park. Anita looks forward to taking your call and providing great customer service in your time of need. 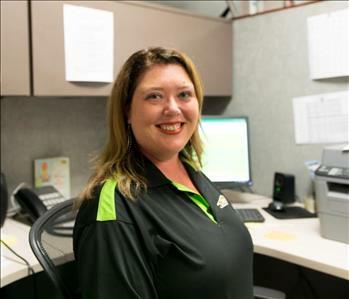 Cristle has been an Assistant Project Manager with SERVPRO of Portsmouth since March 2012. She has completed our rigorous SERVPRO Employee Certification Training Program. This program teaches advanced cleaning and restoration techniques and how to properly use our state-of-the-art equipment. Cristle also has the following certifications from the Institute of Inspection Cleaning and Restoration Certification (IICRC): Water Damage Restoration Technician (WRT) and Applied Microbial Remediation Technician. Cristle loves spending time with her husband and daughter hiking and fishing when she is not in the office providing great customer service. She looks forward to helping you in your time of need. 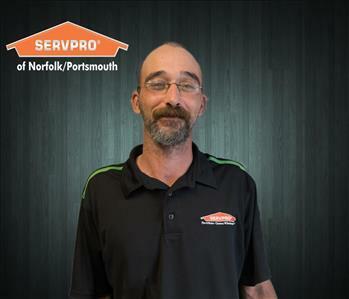 Richard Hunt is the Master Technician and Production Crew Chief at SERVPRO of Portsmouth. He has several years of experience in the cleaning and restoration industry. He has the following certifications from the Institute of Inspection Cleaning and Restoration Certification (IICRC): Lead Technician Certification, Water Damage Restoration Technician, Bio Hazard, Carpet, and Applied Microbial Remediation Technician. 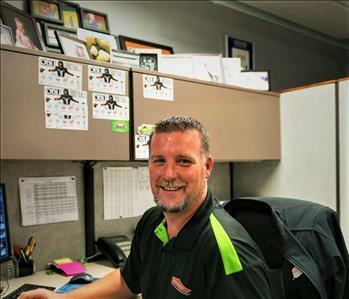 Rich Clayton is a Project Manager at SERVPRO of Portsmouth. He has completed our rigorous SERVPRO Employee Certification Training Program. This program teaches advanced cleaning and restoration techniques and how to properly use our state-of-the-art equipment. 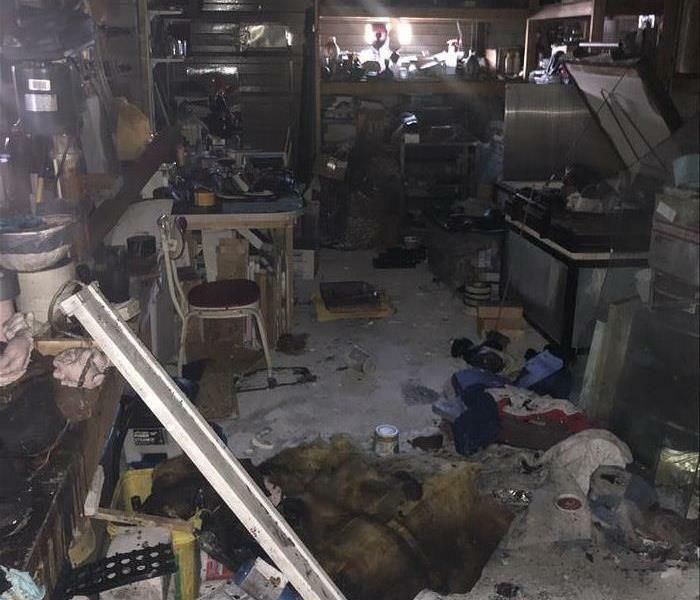 He also has the following certifications from the Institute of Inspection Cleaning and Restoration Certification (IICRC): Water Damage Restoration Technician, Mold Remediation and Carpet Repair Technician. Sharna Cohen is a Production Technician at SERVPRO of Portsmouth. She has completed our rigorous SERVPRO Employee Certification Training Program. This program teaches advanced cleaning and restoration techniques and how to properly use our state-of-the-art equipment. She has over a decade of experience in the cleaning and restoration industry. 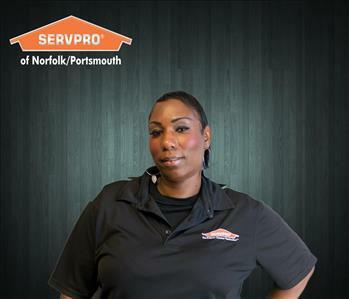 Brenda Billups is a Cleaning Technician at SERVPRO of Portsmouth. She has completed our rigorous SERVPRO Employee Certification Training Program. This program teaches advanced cleaning and restoration techniques and how to properly use our state-of-the-art equipment. Brenda has been in the restoration business for several years. She also has the following certifications from the Institute of Inspection Cleaning and Restoration Certification (IICRC): Water Damage Restoration Technician. 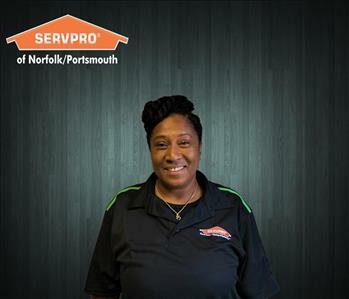 Judy Dorsainvil is a Production Technician at SERVPRO of Portsmouth. She has completed our rigorous SERVPRO Employee Certification Training Program. This program teaches advanced cleaning and restoration techniques and how to properly use our state-of-the-art equipment. 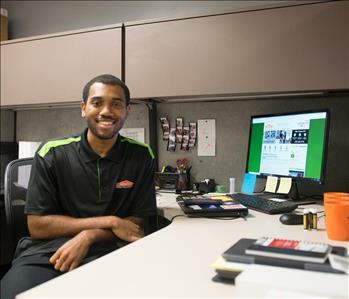 Austin Mason is a Production Crew Chief at SERVPRO of Portsmouth. He has completed our rigorous SERVPRO Employee Certification Training Program. This program teaches advanced cleaning and restoration techniques and how to properly use our state-of-the-art equipment. He also has the following certifications from the Institute of Inspection Cleaning and Restoration Certification (IICRC): Water Damage Restoration Technician and Applied Microbial Remediation Technician. 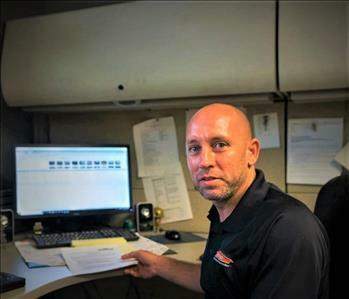 Greg Evans is a Production Technician at SERVPRO of Portsmouth. He has completed our rigorous SERVPRO Employee Certification Training Program. This program teaches advanced cleaning and restoration techniques and how to properly use our state-of-the-art equipment. He has over a decade of experience in the cleaning and restoration industry. 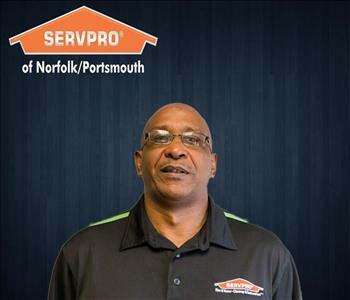 Linwood Richardson is a Production Technician at SERVPRO of Portsmouth. He has completed our rigorous SERVPRO Employee Certification Training Program. This program teaches advanced cleaning and restoration techniques and how to properly use our state-of-the-art equipment. He has over a decade of experience in the cleaning and restoration industry.